Analynne Madrid is currently a student majoring in bioengineering at the University of the Pacific in Stockton, California. She is a strong advocate for social change and self love for students of color. During her spare time, she likes to educate university students on the effects of internalized western beauty standards, all the while empowering and embracing the beauty within themselves. 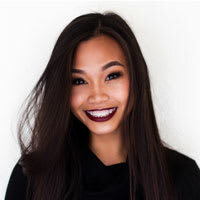 She has hosted workshops at both University of the Pacific and UC Davis that not only target mental health and beauty, but as well as cultural identity and professional development. Analynne overall inspires to create a healthy and well-living lifestyle for the surrounding community through her understanding of biology and engineering, and strong advocacy for social justice in students of color. As an undergraduate, she hopes to learn how she can apply her bioengineering skills and knowledge with skin therapy to better the wellness of others.